If you’re planning to buy a new video game, there are many things you need to consider. Although some games are simple, there are many that are complicated and you may need a game guide. Playing a new game may not be as easy as it might look. Without a good guide, you may end up wasting your money and time. However, some people do not believe that spending money on a game guide is a great idea. So what’s so special about game guides? What are video game guides? To many video game fans, game guides are very important. This is because getting through a particular video game is not an easy task. For many gamers who need help, a guide can work very well. Whether you are looking for help on a specific challenge or a walk-through for the entire digital game, the only thing that can help is a guide. Hence, stop cursing or insulting the video game designer, instead look for help as a true gamer. A video game guide is an amazing tool to many gamers. It guides players throughout the entire game. Whether you are looking for collectibles or you want to know all the secrets, a game guide can help you. A guide can be referred to as an instruction book with hints, tips, and solutions to a specific game. Some guides are sold through the mainstream publications while others can be found on various sites. You will find them in places like GamePressure.com, YouTube.com, and Ign.com among others. How can video game guides help gamers? The guides for gamers are very helpful to both old and new gamers. Since they contain a list of missions or quests in the game; they are very useful for the gamers. Most game players normally look for strategy guides online before or after buying a new game. Depending on the games you play, it is easy to get a genuine guide online. Some guides are available for free online but most of them you need to buy. The most important thing is to identify the best sites to get, purchase or download the guides. Happily, there are many places where you can find game guides. What type of game guides are available? Whether you need help from a specific video game or for your entire video game library, you can get game guides for almost every game. Game guides are available for most games. Even though most people look for guides when they are new or when they are stuck during the game, games guides are available for all types of games. However, Role Playing Games or the First Person Shooter guides are the most common. Game guide sites have become very common, and normally attract a number of visitors due to the depth of content they provide. For people who do not like reading, there are sites that provide game guides through videos. To many gamers, going through a new game or increasing levels of an old game is not as easy as it looks. But with a game guide, the gameplay becomes interesting. Here are the top ten places to buy game guides. GameFAQs.com is a perfect place where you can find several strategic guides. From adventure games to Role Playing games, you can get all the game guides you need. The site has a wide collection that covers new video games and the classics as well. For people who do not like reading, YouTube is a nice place to get game guides. There are several videos on YouTube that can walk you through any game. So if you are stuck or you are unable to move to the next level, search for the guides on YouTube. However, some guides may be missing or incomplete on YouTube. 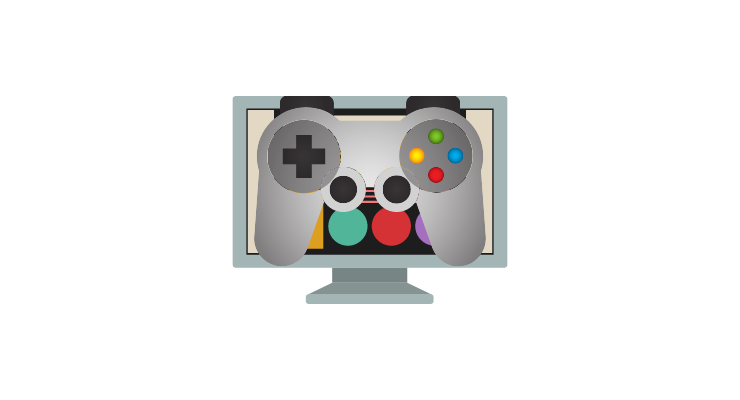 GamePressure.com is one among the most popular sites that offers many guides. The site has free guides and others that you may need to buy. These guides are well-written and give clear instructions about the games. Just like other sites, a well-detailed walk through can be found on GamePressure.com. Twitch.TV is a popular site to get game guides. From classic games to the latest ones, you can acquire a guide of mostly any game. The guides are well explained and contain valuable tips to use while you play. This is another great site that offers help on most popular video games. Whether you are looking for the most tending games or just a normal game, you can get the guides at Fandom.Wikia.com. The site is also popular for movie and TV fans. IGN.com has some best collections of game guides and walk-throughs. The site is popular because additions of newly released games are posted to the site every week. The game guides are well written and have a lot of images. In order for you to access the site, you need to subscribe. Another great site with well-written game guides is SteamPowered.com. Even though it doesn’t contain huge guide collections, it is a top site for gamers to visit. StrategyWiki.org is a helpful website that has numerous game guides and walk-throughs. It has a unique format that allows numerous updates and information to be added on the site. It is a perfect site for new gamers looking for game guides for the first time. SuperCheats.com offers help on old and new video games. Apart from offering detailed information, the site provides an address for gamers who need more support on popular video games. Guide4gamers is a website where you can get numerous video game guides. The game guides are on point and provide informative tips requested by most gamers.